I only discovered Scandinavian Beauty brands last year and I have never come across any product that I have disliked. 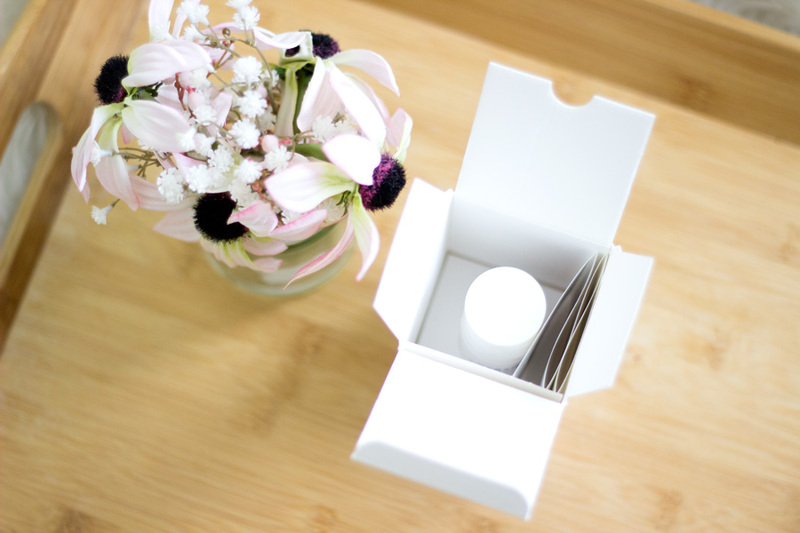 They are known for creating effective products with such elegant minimalist packaging. 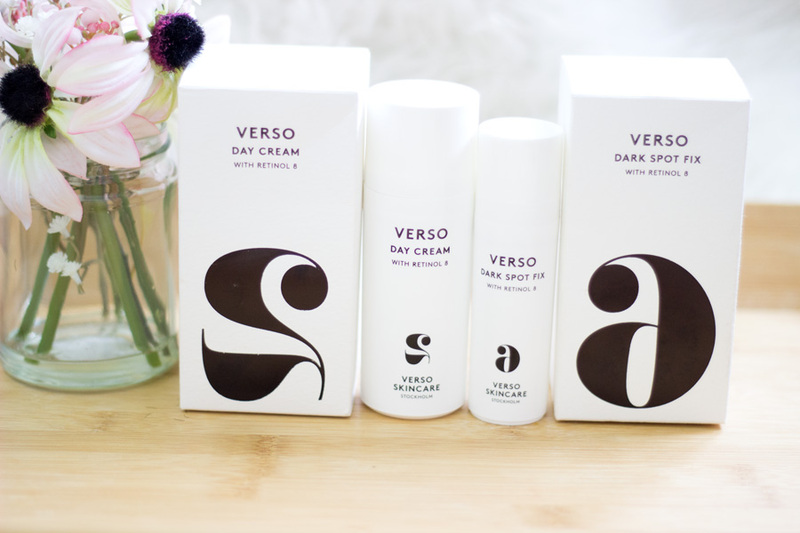 Verso Skincare is a Swedish Beauty Brand and I believe they are based in Stockholm, Sweden. The brand was founded by Lars Fredriksson who is Swedish and based in Stockholm. 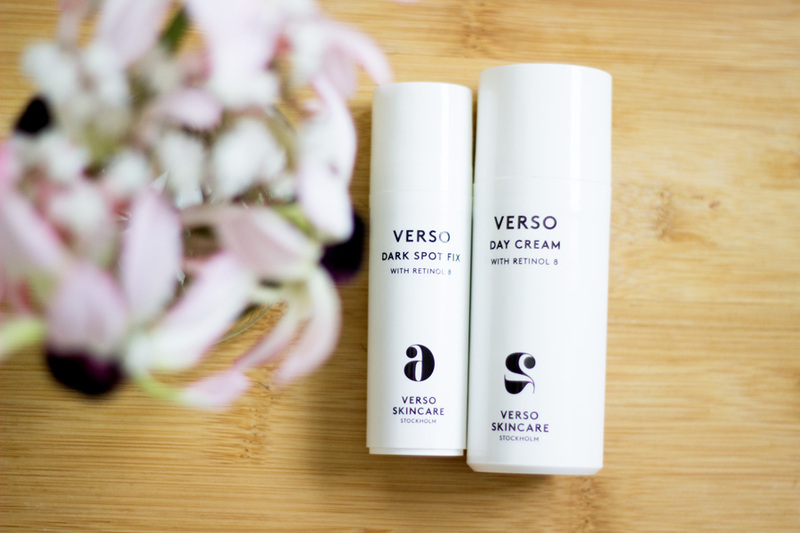 Verso is a Latin word for Reverse and that's what Verso Skincare aims to do for the skin in terms of ageing and restoring the skin's natural youthful glow. 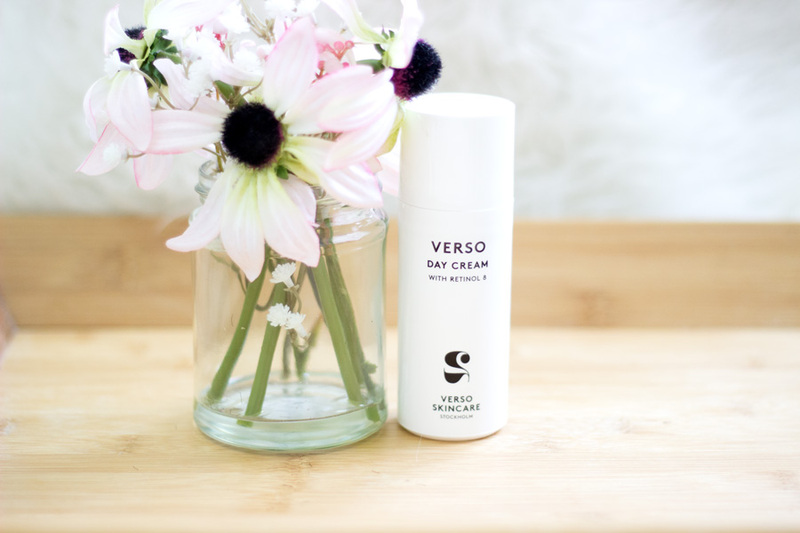 Verso Skinare is a different kind of skincare in the sense that it has a unique and patented formula called Retinol 8 which helps the skin mimic how young cells behave and effectively reverses the signs of ageing (particularly premature ageing). I personally don't mind ageing (I'm sure everyone wants to age gracefully) but I don't want to age prematurely as a result of sun and environmental damages. Retinol 8 is a stabilized complex of Vitamin A derivative and Polyphenol extracts which has been clinically proven to result in finer, more radiant skin. It is also said to be 8 times more effective than regular Retinol hence the name Retinol 8. The most unique property of Verso skincare products, in my opinion, is how non-irritant and gentle they are. 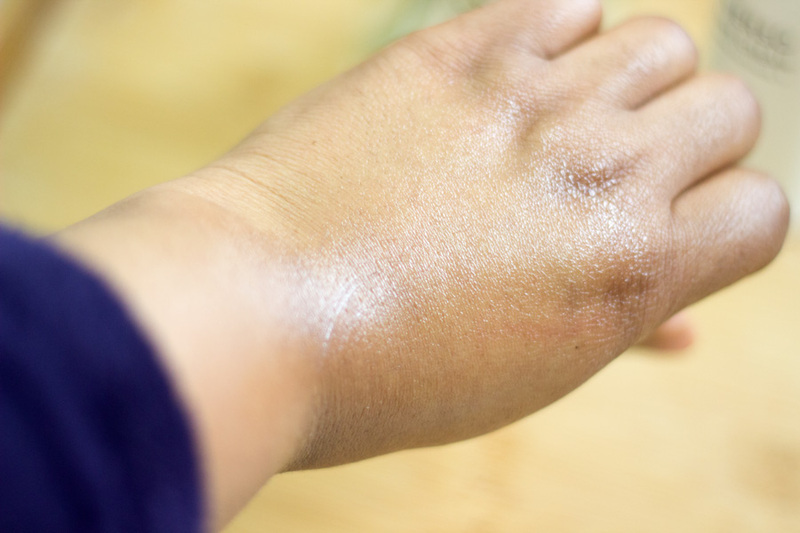 Most products which contain Retinol or any Vitamin A derivative are known to be very irritating on the skin and usually causes dryness even in the oiliest skin type. 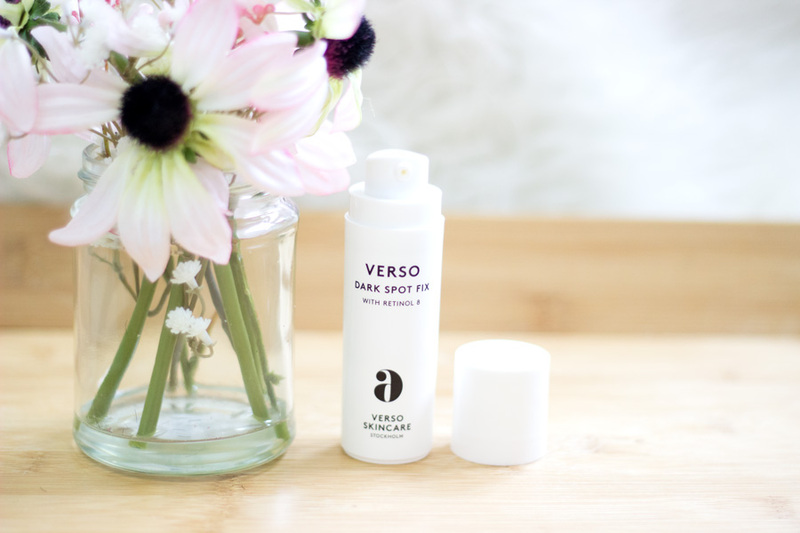 However, Verso Skincare products are far from that and I think it's really incredible especially as it's still very effective. I read a few reviews where people said they broke out with some Verso skincare products however I did not experience any breakouts at all if anything my skin looked better than ever. I guess everyone has different skin types and it is best to maybe get a sample first if you suspect you have super sensitive skin or are generally sensitive to Retinol in the past. There are about eight products in the skincare range and they are numbered from 1-8 which is useful especially if you are looking to revamp your skincare. These products include: Verso Foaming Cleanser (1), Verso Day Cream (2), Verso Night Cream (3), Verso Super Facial Serum (4), Verso Super Eye Serum, Verso Dark Spot Fix (6), Verso Super Facial Oil (7) and Verso Face Masks (8). 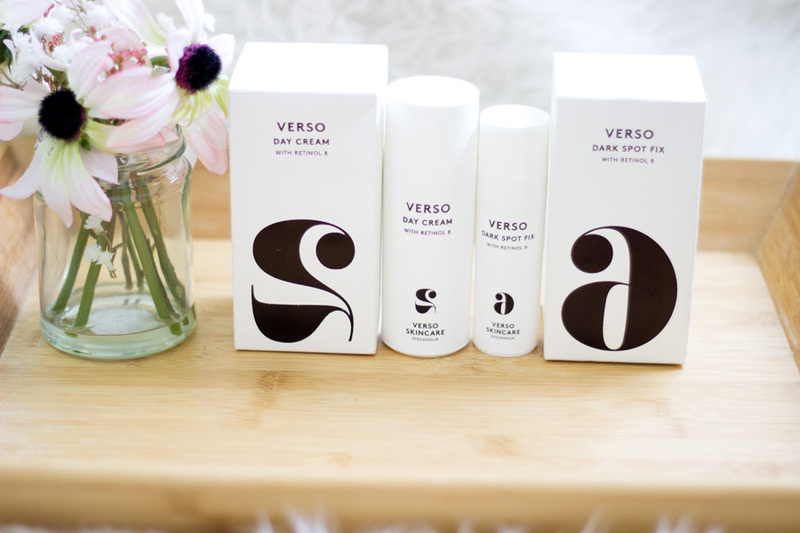 There is also a Verso Travel Kit which contains Verso Foaming Cleanser, Verso Day Cream and Verso Night Cream which is an incredible way to get into Verso skincare products. I know I already mentioned how fabulous Scandi Beauty Brands packaging are and I know many people know that already. 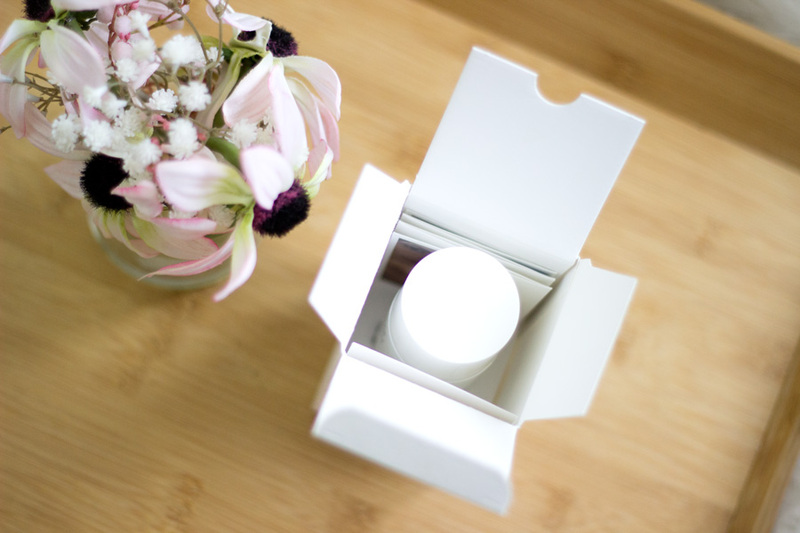 Still, I just have to give it up for the Verso Skincare packaging. The outer packaging is white with black fonts. The outer packaging and product packaging have information on how to use the product and what it does. I find that some products only have information on the outer packaging which is silly because outer packaging gets thrown out first. Anyway, I am just in love with the classy minimalist packaging. I always find that less is more and such designs usually make products look very elegant especially on the dresser or bathroom. (Of course, I still like colourful makeup packaging!!). These two products have pumps which makes them easy to use, less messy and prevents wastage. The only issue I have with the packaging is that it's opaque so you have no idea when the product are running low (although you can guess from its weight). The pump can't be removed either which means you can't peep to check either. On the other hand, this design helps protect the product from unnecessary oxidation and contamination. Overall, I adore the packaging despite these little issues. 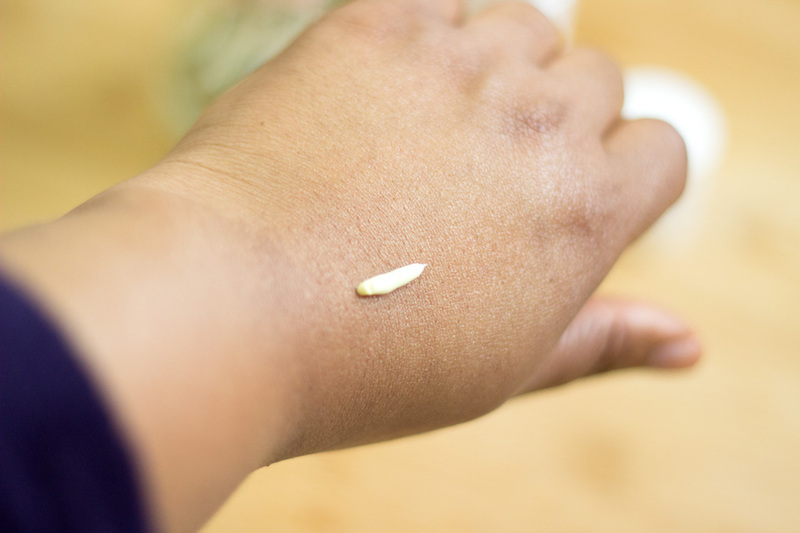 I was very excited to try this Day cream because I'd heard how it gives a beautiful glow without the shine. 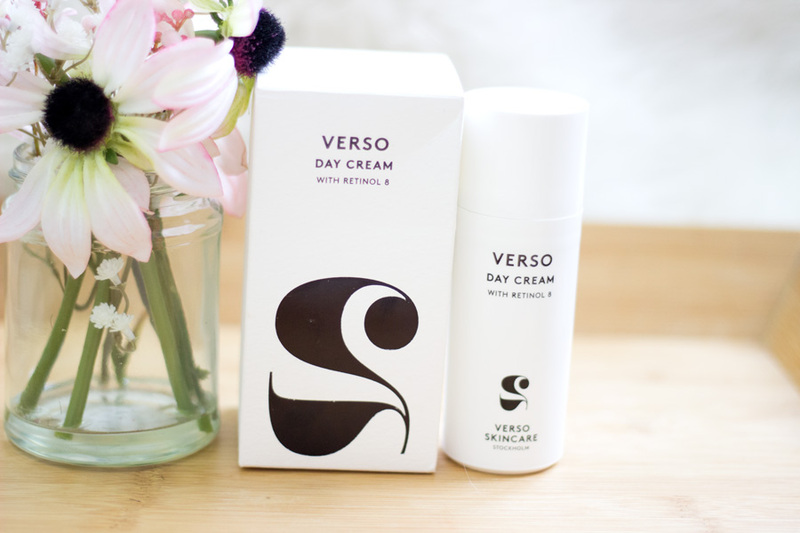 Verso Skincare describe this Day Cream as a moisturising and protecting day cream with Retinol 8 which is eight times more effective than regular Retinol. It is designed to activate the skin to stimulate its natural production of collagen, reverse anti-ageing and it contains anti-oxidants for radiant fresher skin. These claims completely sold me and I was more than curious to try it out. First off, the pump nozzle is a little wider than the Dark Spot Fix so I use half a pump and ti's enough for my entire face. It has a light yellow colour but it goes on clear on the skin. The texture is a really beautiful one as it is non-greasy and lightweight so I can imagine that it will rake well to many skin types and get absorbed easily. The first thing I noticed is the radiant glow!! Oh my word!! I don't think I have ever used any other product that has given me such a beautiful radiant glow that is sustained even under makeup. I generally tend to stay away from anything with a glow during the day because they sometimes interfere with my makeup. 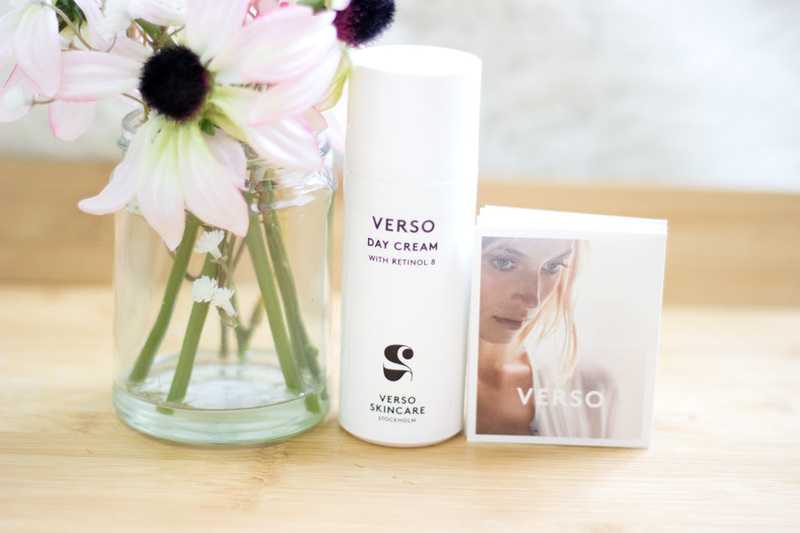 However, it's not been the case with the Verso Day Cream as it still gives me a lovely glow even under my makeup (without the shine or greasy oily look) and no interference with my makeup. If anything, it makes my makeup go on even smoother and improves its appearance. I always wear a sunscreen over my Day Cream as Retinol, AHAs, Vitamin C, etc all make the skin sensitive to the sun. 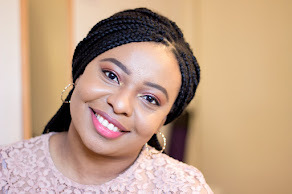 When I first started using it, I did not really notice any difference to my hyper pigmentation although I was loving the radiant glow it gave my face. I just kept using it and behold, my hyper pigmentation took a dramatic turn. I guess it is one of those products that starts working slowly on the hyper pigmentation and you may not notice but then it hits you one day and you realise Damn!! My skin looks good. I understand that many people may want to see dramatic effects with hyper pigmentation especially with the cost of this product, however, it requires consistent use to see results. You will definitely see results with time and it is a sustained one. The good thing is it contains 50 ml of product which will last a long time because you need the littlest amount (half a pump is more than enough for my entire face). I used the Day Cream both in the morning and at night and I absolutely love the results I am getting. I feel like this cream would suit people from their early 30s and above as it helps with improving the appearance of the skin in the most effective gentle way. If you are in your 20s and are dealing with hyper pigmentation or dull skin, it s definitely one to check out or perhaps check out the Travel Kit. In summary, if you want to see an instant radiant glow, this is one to check out and you would love it. If you are after gradual fading of your hyper pigmentation with the least irritation, this is definitely worth checking out. Where do I even start to proclaim my love for this product? I guess I just have to start from the beginning. 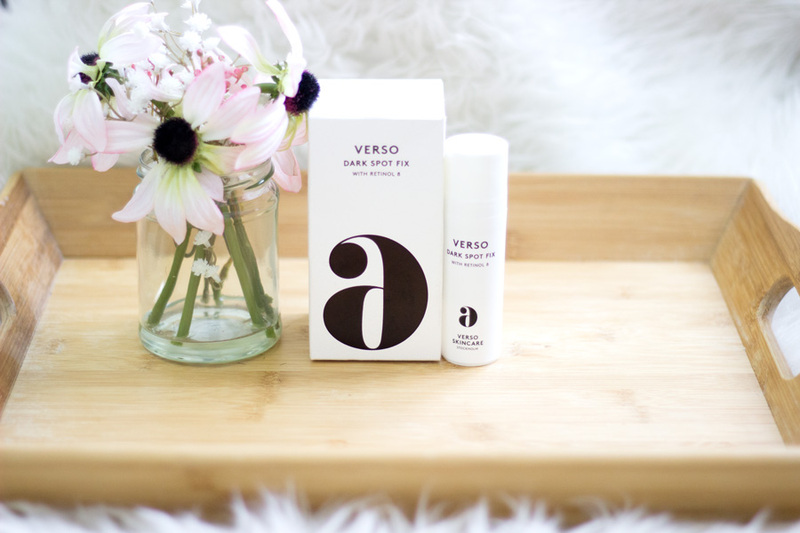 This was actually the first product from Verso Skincare that caught my attention and I was honestly intrigued. First off, I was very curious about Retinol 8 and I loved that it claimed to be non-irritant, gentle and 8 times more effective than the normal Retinol. You can imagine my sheer delight when I was given a chance to try it out especially as I was plotting on how I had to bend over backwards and save to try it out. Let me just put it out there, there is only 15 ml of product inside the bottle which was a little disheartening given the price. However, if you follow the instructions, it will last you so much longer than you anticipate. 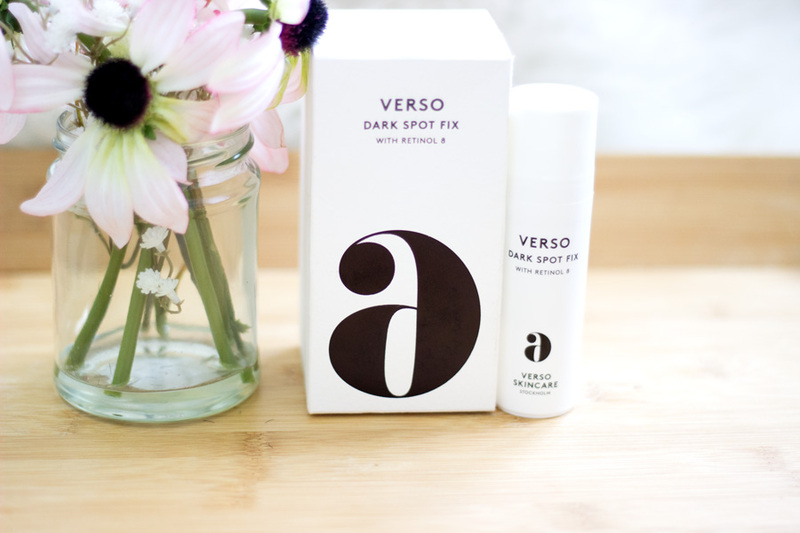 Verso Skincare describe the Verso Dark Spot Fix as a fading and lightening dark spot corrector with a high dose of their Retinol 8 Complex (the highest dose among all the Verso skincare products). It is a very concentrated formula which is designed to effectively reduce the appearance of minor, unwanted dark sots and can safely be used during day time. 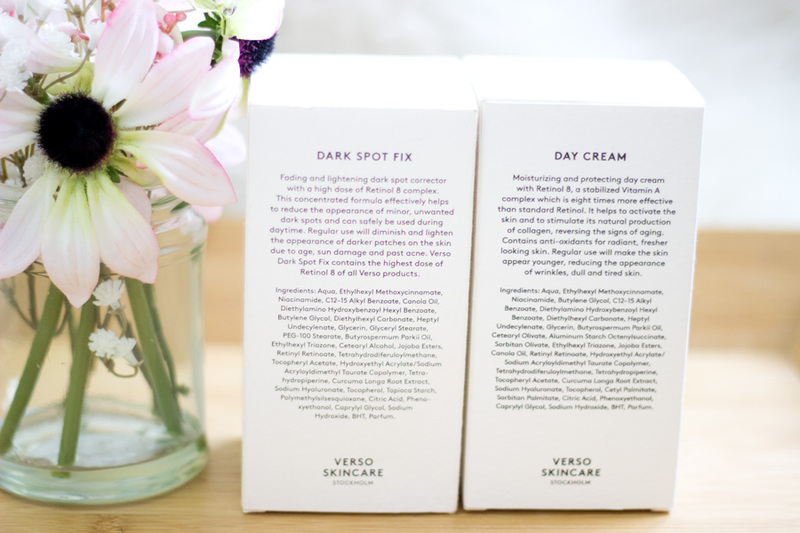 Verso Skincare advise that regular use will diminish and lighten the appearance of dark patches on the skin due to age, sun damage and past acne. These claims completely sold me and I was more than ready to see if it lived up to its claims. 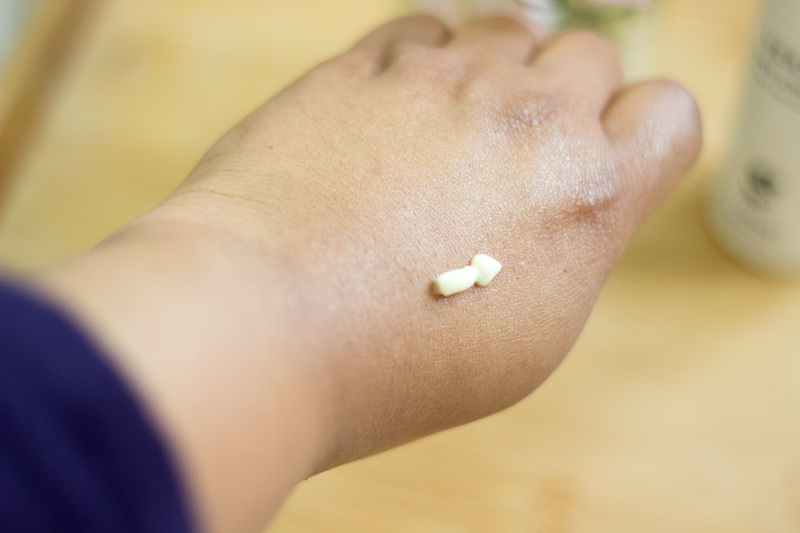 Due to its small size, I dispense a little amount ( half a pump) and I apply it directly to my dark spots on my cheeks I don't apply it all over my entire face because I don't need it there and that will be wasting the product. I took it with me to Nigeria because I was keen to test it out in the Nigerian sun and I was absolutely impressed with its performance. 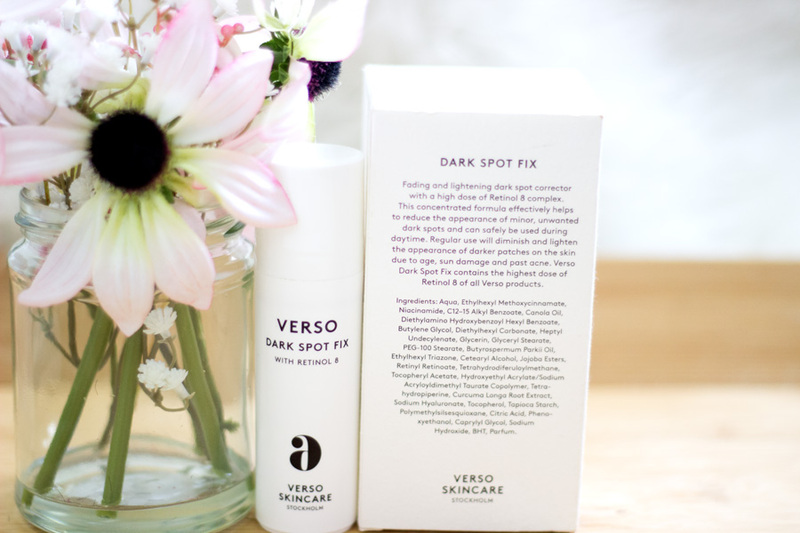 My spots usually get darker whenever I go to a warmer climate but that was not the case this time around and I believe the Verso Dark Spot Fix was responsible for this along with my sunscreen and other skincare gems I brought with me. It also has a light yellow colour and texture similar to the Verso Day Cream but I feel the Dark Spot Fix has a lighter texture. 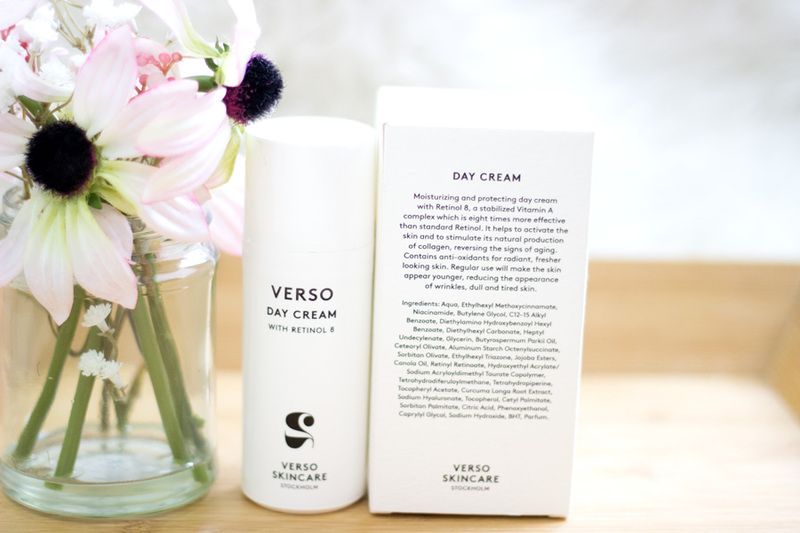 It absorbs so well and gives a beautiful glow although not as radiant as the Verso Day Cream. At first when I started using it, I expected a super dramatic improvement from the first day which is silly of me but it didn't happen. After a week of consistent use, my dark spots were looking so faded and I was very impressed and carried on using it. I find that it works fastest on newer dark spots compared to older ones which ate generally difficult to budge. My left cheek has been majorly clear but before I started using Verso, I broke out (I guess due to exam and work stress) and it left me some nasty marks. The Dark Spot Fix faded them so quickly and evenly and honestly, I was really impressed with how effective it was. My right cheek on the other hand had some older dark marks but the results were not as fast. However, these dark marks have faded so much better over time than they have with other products. Now I understand why the Verso Skincare products are expensive. They are very effective but you do need to be consistent with use and the results are so worth it. 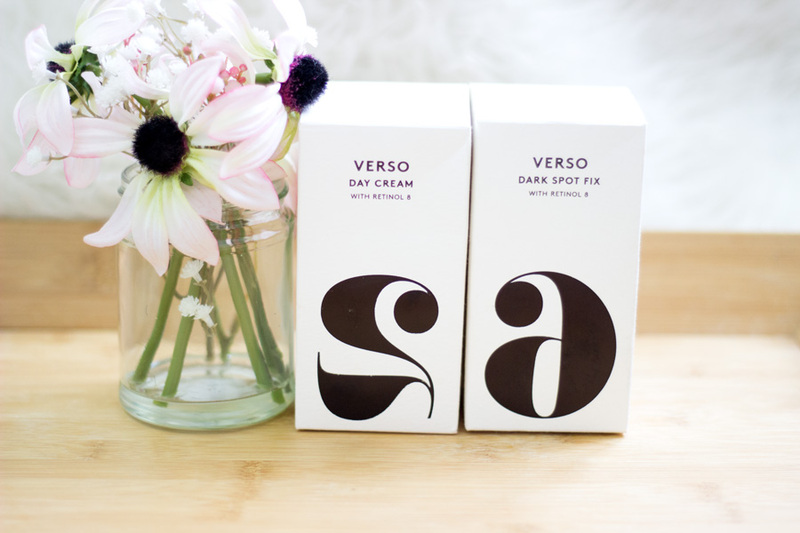 I use the Verso Dark Spot Fix both during the day and at night and I follow up with the Verso Day Cream. I did not experience any irritation but it may be due to the fact that my skin is quite used to Retinol, AHAs, etc. If you have minor dark spots and are looking to effectively clear them out for good, the Dark Spot Fix will definitely fix them up. If you have older dark marks, you will need to use the Dark Spot Fix for a longer time to see beautiful results. My bottle has not finished yet and I have been using it consistently since May so I am guessing it will last a good while if you use it the right way (remember a little goes a long way). 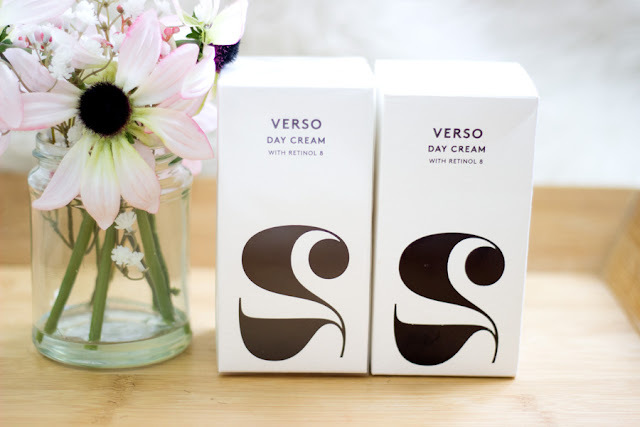 Yes, Verso skincare products are expensive but I personally have enjoyed trying them out and I am still using them. Despite the size of the products - 50ml for the Day Cream and 15ml for the Dark Spot Fix, I am still surprised that I still have a good amount left (well, this based on the weight when I shake the bottle). As mentioned earlier, a little goes a long way so I see them lasting for even longer. 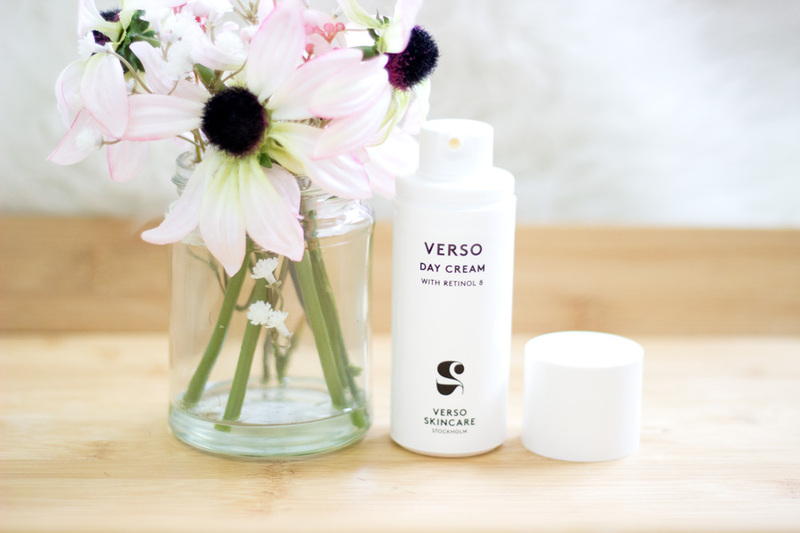 If you are not keen to spend so much money without trying it for yourself, you can check out the Travel Kit which retails for £40 and you get the Verso Cleanser, Verso Day Cream and Verso Night Cream. In my June Favourites, I posted links to where you could get it half price on Space NK but it has now sold out which is a shame. The only links above are for full price but I will be on the look out for any discount codes or offers. You can purchase Verso Skincare products from their Website, Feel Unique, Cult Beauty, John Lewis, Net-a-Porter, etc. 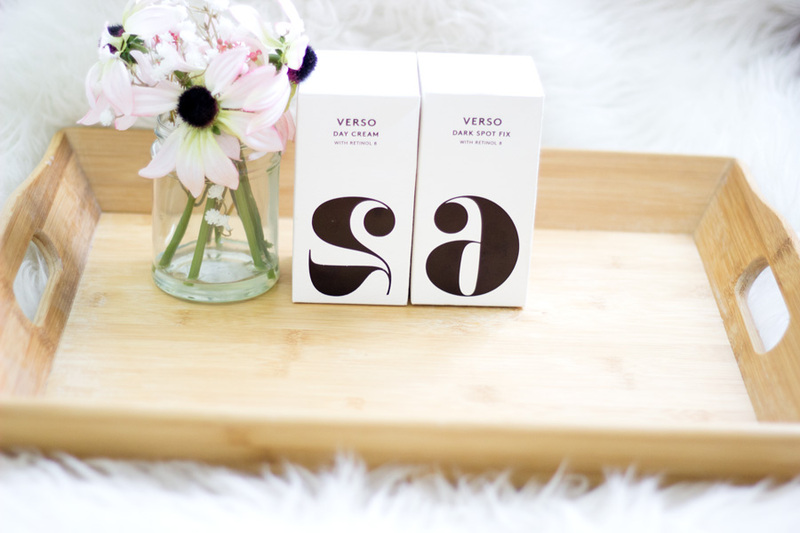 I can't think of anything else to write because I feel like I have said everything based on my experience with the Verso Skincare products I tried. I really love the brand and I know many people love it as well. I still cannot get over the amazing radiant glow I get each time I use the products!!. I still see the glow the morning after I have used them the previous night. 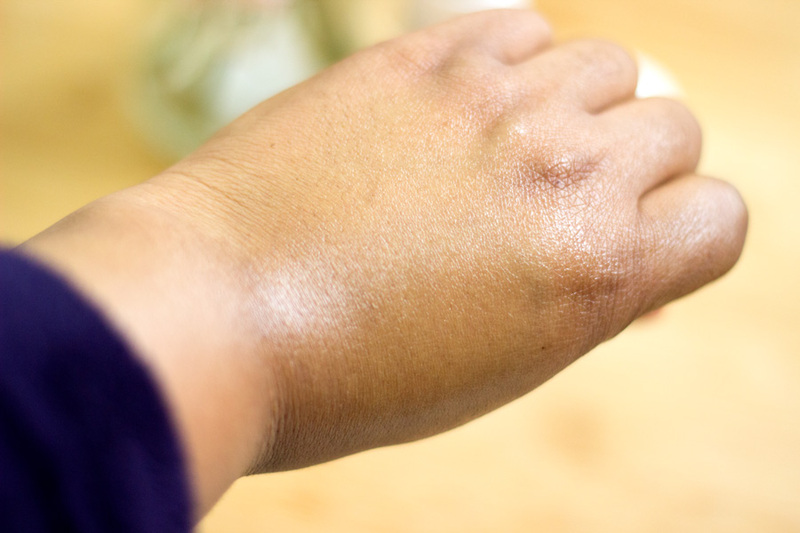 It's an absolute winner in my books and I am pleased it works on darker skin complexions as well. That's pretty much my experience with Verso. I hope you enjoyed this post despite how long it was. I was just typing like a maniac and that's how I type when I am excited about something. 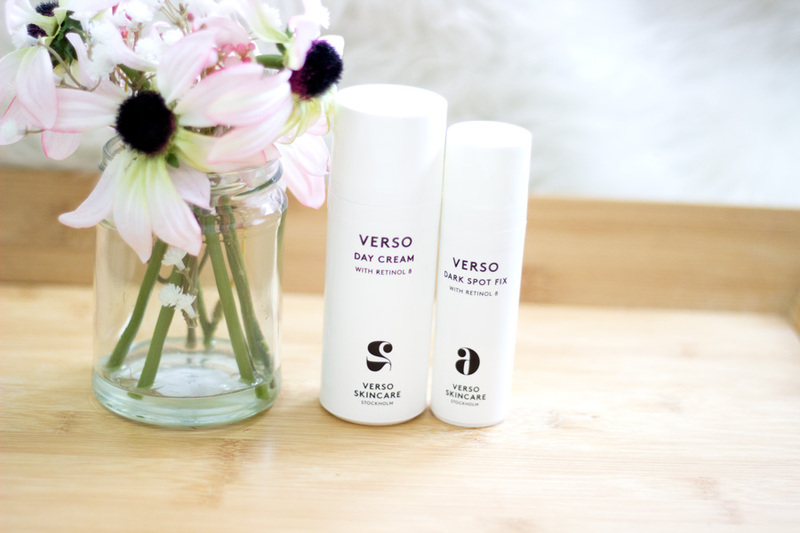 Have you tried any products from Verso Skincare?